As India holds the world's biggest election, social media is awash with disinformation and fake news. Here is a fact check on five such viral videos and photos. A photo of a huge crowd gathered in front of Prime Minister Narendra Modi was shared in multiple Facebook posts this month with a claim that a "tsunami" of people had attended an event to support him. But the image was doctored from a 2017 photo of a swearing-in ceremony for a BJP politician in Himachal Pradesh, which Modi attended. Parts of the crowd seen in the photo were cloned using photo editing software to make it appear that more people had attended the event than actually had. 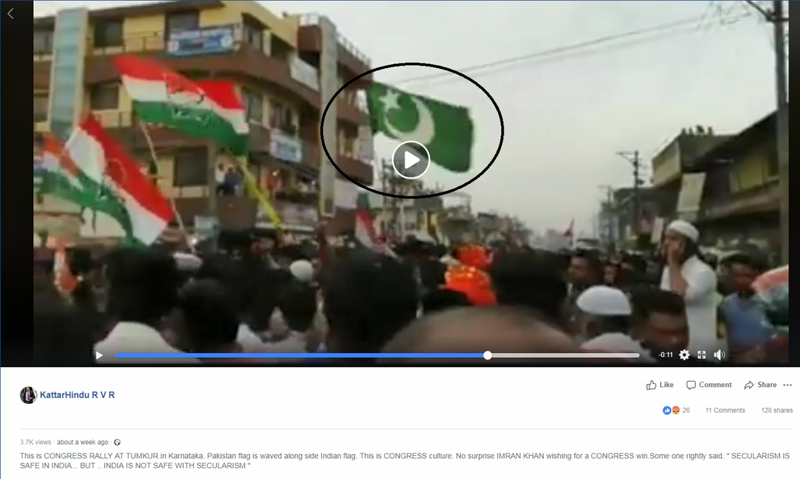 A video of a rally for the Congress was shared on Facebook and YouTube alongside claims it showed someone waving the national flag of Pakistan. But the flag in fact is that of a political party, the Indian Union Muslim League (IUML), which shares the same green and white colours. 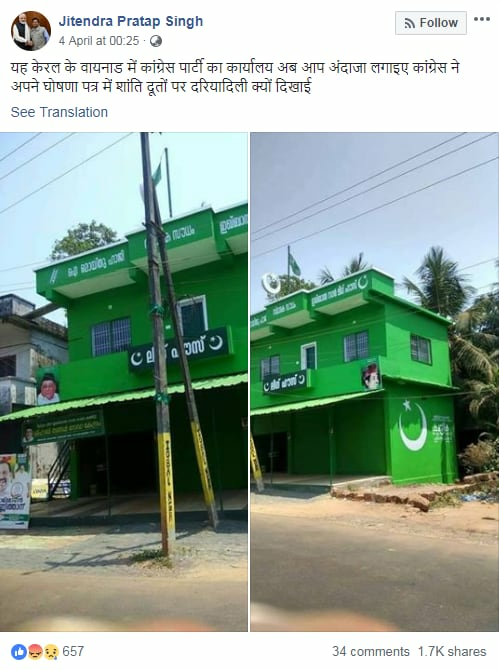 A separate post shared a photo of a green building with a white star and crescent painted on its side and claimed it was a Congress office in Kerala. But the building belonged to IUML. 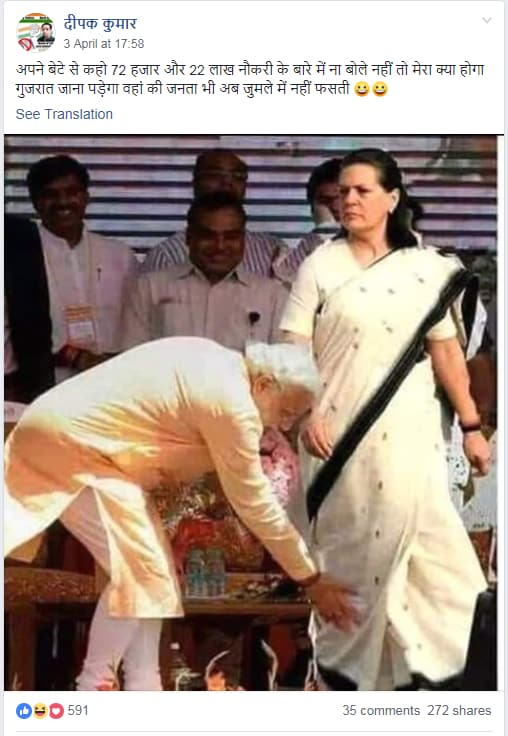 Multiple Facebook and Twitter posts contain a photo which appears to show Prime Minister Narendra Modi touching the feet of former Congress chief Sonia Gandhi. The photo has been doctored from a 2013 image by the Press Trust of India which actually shows Modi touching the feet of a senior member of the ruling BJP. Multiple posts on Facebook, Twitter, YouTube and WhatsApp contain a video, which has been viewed tens of thousands of times, showing an ambulance stopped at a police blockade. The posts claim the emergency vehicle was held up by police in order to allow Delhi BJP chief Manoj Tiwari's motorcade to pass. 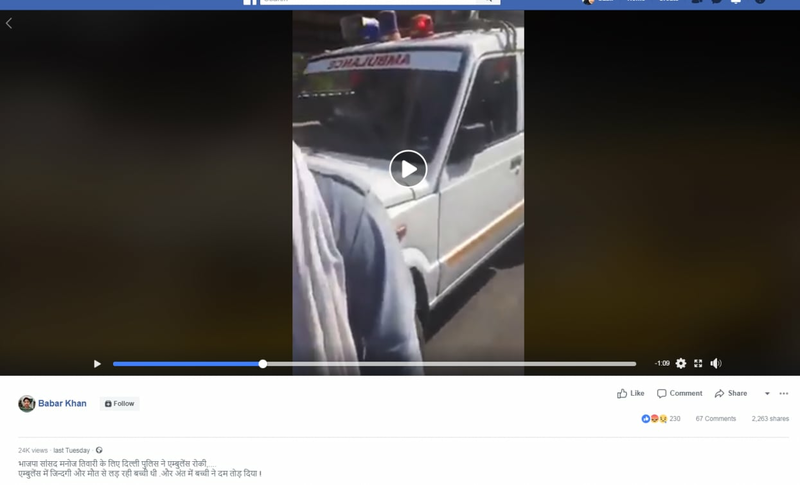 The claims are false; the video is from 2017 and shows an ambulance delayed by a motorcade while then-Malaysian prime minister Najib Razak was visiting Delhi. 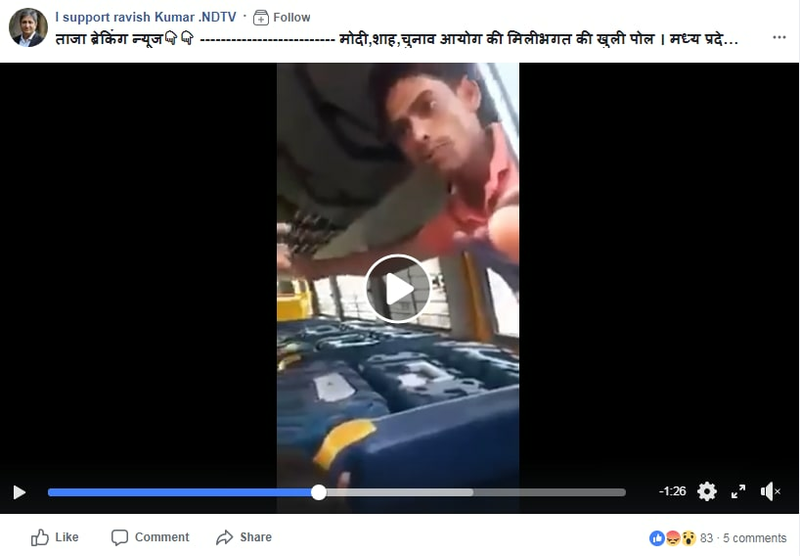 A video which appeared to show electronic voting machines being transported was shared alongside a claim that the BJP conspired with election authorities to tamper with the 2019 ballot. But the claim was false; the footage has circulated online since 2018 and it shows an incident over voting machines used in a state election.